Small Pond Enterprises | If you want to be a big fish, come to the small pond. 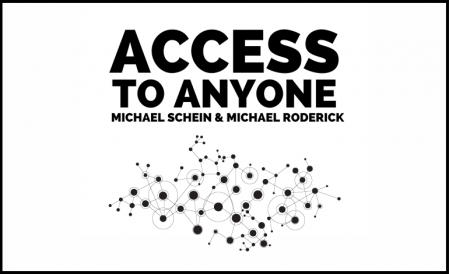 Hosts Michael Roderick and Michael Schein explore the tools, methods, and technology that will get you the meetings, friends, and connections you want. Want to be on a first-name basis with the people you admire? The Hang With Your Heroes Handbook will introduce you to 5 principles that can help you to stop chasing your heroes and have them come to you. Don’t look at networking as climbing a ladder, think of it as spinning a web. Relationship design recognizes the power of weak ties, the importance of curating a network, and carefully balancing giving, asking, thanking, and experimenting.